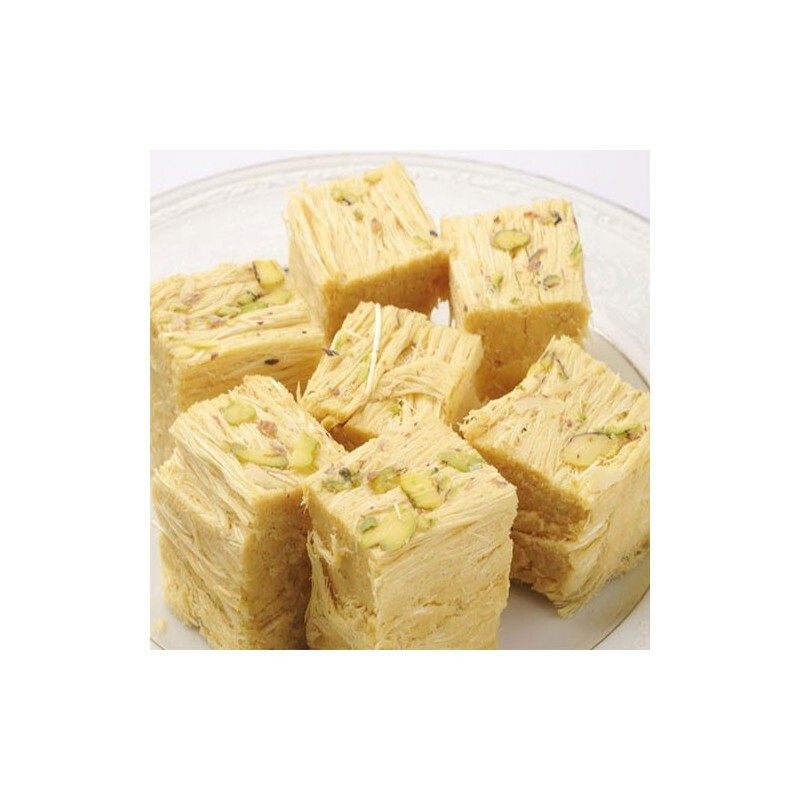 Soan Papdi,a popular Indian dessert is square in shape and served as flakes.White Soan Papdi is a Rich, Delicious, Hyginically prepared and is a perfect choice to your dears to make them Happier on Birthdays, Festivals and on all Occasion. 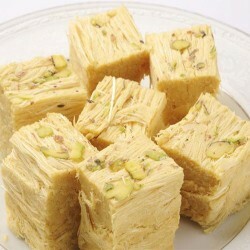 Me and my brother love soan papdi. We used to buy it daily in street shops for 5rs and enjoy eating it. Now this white soan papdi has exact same taste of it. I bought it and also sent it to my brother. We shared our childhood memories with each others. Thanks a lot for this guys! I am a last minute shopper. OrderYourChoice.com has saved me a lot many a times. I could order the sweets any time I want to as it is all available online. This time I had to shop for sweets for a birthday party and hence ordered the White Soan Papadi from OYC. The sweets arrived on time and it saved me from a lot of trouble. I did not leave the house and yet I got all what I wanted at home. The comfort of ordering online for tasty sweets is really inviting. Our family has a lot of sweet lovers. Traditional sweets like White Soan Papadi are a definite hit for family parties. I had ordered the sweets from OrderYourChoice.com last week for the party. Since it is a very delicate sweet I was worried about online delivery. The packing and the delivery of OYC was definitely worth the praise. There was no air leak and the sweets were all in the full shape. I really feel that OYC is the best choice for buying sweets online.